And it's surprising that the one who fixed it was my annoying little brother!! But thanks to him that I'm able to get back to Blogger anyway. 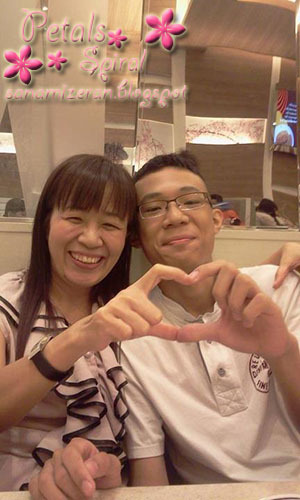 On 12th August was Thailand's Mother's Day. Since I can earn my own money this year,I decide to do something special for my mother. My father was still in Germany on that day,so it's just me,my mom and my brother to celebrate the day. 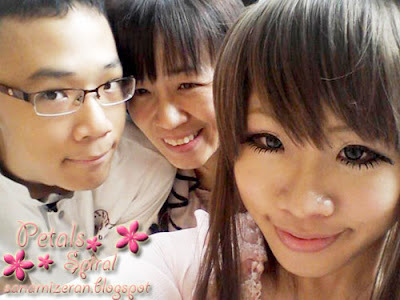 I took them to Siam,start with Purikura at Digital Gateway first. 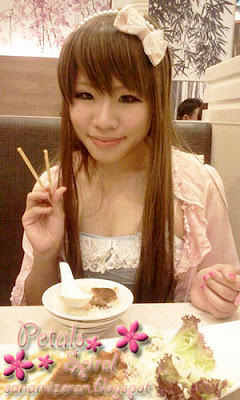 And then we went to eat at Fuji Restaurant. I've already eaten my Hamburg before I realized that we haven't took pic of it yet. Sadly,I didn't take the pic of the food we had. After the meal,my brother was going to take mom to go watching movie with him. I didn't join them coz I didn't what I want to watch. So,I decided to go shopping for some present for my mom instead. 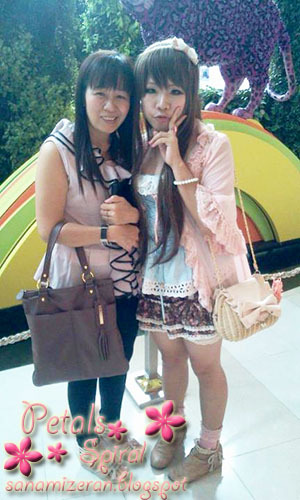 We took some pics before separating. Our outfit for the day. And here is the present I bought for my mom. 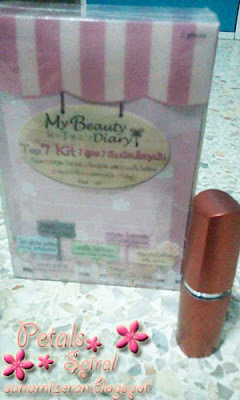 My Beauty Diary boxset and Maybelline lipstick. She said she loves them tho. It's the first time I buy present for my mom but yeah...I think it feels good to do something for my mom somehow. Amyway,thanks for reading my blog.